Welcome to Buchanan Men's Volleyball. Our season has begun with all three teams working extremely hard, improving on a daily basis. As a coach, it is very exciting to watch them compete and we are looking forward to opening and finishing league, valley and state with a Kill. This year’s team is very versatile as we have a deep bench, making this team a contender to win league, valley and state championships. The coaches continue working with these student-athletes demonstrating our belief that Character Counts. It is our experience that many lessons are learned in athletics, and we believe our athletes will continue to learn how to handle success as well as setbacks, with class and dignity. We would like to thank all of our supporters, parents, family, friends and the community for the continued encouragement. Everyone should expect to see the best high school volleyball in the central section played in the Buchanan High School gym. 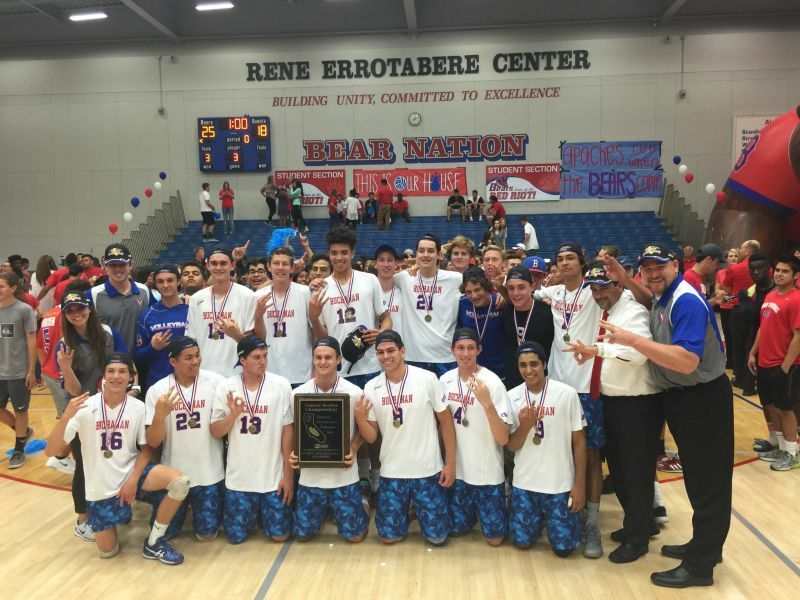 Buchanan Volleyball has such a rich history of success, and we look forward to continuing it this season. As our season begins, sit back, relax, enjoy, and encourage each player and team to compete to the best of their ability. It is guaranteed to be another exciting season of volleyball as we gear up for another central section championship.